Company is a separate entity in the eyes of law having limited liabilities toward their shareholders who are the actual owner of the company. It is observed with the increase in size and the developing of cumbersome process of company either in decision making or in some other financial aspects shareholders find little hard to keep a good glance at the financial matters. In order to curb the company’s malfunctioning government made mandatory for the companies to get their accounts audited by the independent auditor. The independency of auditors refers from those persons who are having direct or indirect financial interest in the company which has to be audited. In short it is said that the main purpose of audit is to enhance the credibility for the general public and provide the written assurance that the financial statement prepared having true and fair view with the complete disclosure. 1.1 Define actual and perceived independence, and explain the importance of each. Auditor’s independence has been the vastly important key factor of general public’s trust in the accounting system. According the question asked in this paragraph there are two aspects to independence having interchange-ability with each other. Actual Independence: - This independence is more of mind, with more elaboration concerned with the state of mind in which he makes the decision in his audit process. Real independence depicts that the auditor is not influenced by the directors or managers having say in the company nor has he been manipulated in the qualification report passed by him on the financial statements of the said company (Holland & Lane, 2012). Perceived independence:- It tells the direct or indirect relation of the auditors with the officers in the company working and shows how it impacts auditors to make their independent decision furthermore auditors opinion should be clear and ethical as it helps general public to make a good financial decision therefore the credibility of the statement depends on the doubt of the owners if the owners have the second thought with the qualified or non-qualified report prepared by the auditor then it will not be worth full, furthermore it suggests greater threats to the long term relationship of the auditor and share holders (Holland & Lane, 2012). Importance: - In the First case study Bob who is an audit assistant deemed to an analytical with the data is performing auditing activity. It is presumed that he is an independent auditor with the lack of information available. Bob is making his qualification toward the financial statement of Club casino which will render financial statement true and fair in order to increase the credibility of the financial statement. Moreover the auditor is considered to be having more fiduciary relation with the shareholders than to the company. Bob can advise company in many parts either in tax saving or statement preparations laws and regulations compliance and so on (Weaver, 2010). In the second case study it is shown that ACE limited is working in the market throughout the long time but due to the retirement of person who was performing company secretary Ace limited is unable to find replacement but has asked windy to perform such services which is not right according to the Australian law (Weaver, 2010). In Australia, the ASX Corporate Governance Council has made Principles of Good Corporate Governance, Practice Recommendations in 2003. Therefore the secretarial work can only be performed by the person who is company secretary in the eyes of law. In the third case it is seen that Leo has a relation with the foreman of the company which is not material relation to render Leo disqualified from being called independent auditor neither it will not affect its real indecency nor perceived independency. It is quite easy to say that lea is performing internal audit in the company regard with the controls of the cash payment system. In this paragraph we understand that the relation is widely restricted to the key managerial persons to the company. Yet on the other side if relationship with the employee is taken into consideration then it will affect his independency in the audit work and he will not be qualified to be appointed as an auditor in the company. In the third case classic reproduction has not paid the audit fees to Chan & Associates and in consideration of that company is providing 50% fees amount in kind and rest 25% Amount in terms of shares in unrelated entity. This is to understand that pecuniary relationship of auditor with the client which is concerned with his audit fees does not render disqualified from performing audit services (Fasan, et. al., 2012). Even though Chan & Associates has pecuniary relationship with the company but it is of fees amount neither it will affect its real indecency nor of perceived indecency. Bob in his first case copy the financial accounting data for his assignment which is of serious concern in the legal term as taking confidential information of the company and it is termed as securities crime according to the listing rule. Bob should take only disclosed information for preparing assignment. Windy who is being asked to perform secretarial work is against the law and regulation as only person who is company secretary can perform such functions (Holland & Lane, 2012). Third Leo cannot be appointed as an auditor in the company has he has relationship with the employee of the company which will affect his independency. In the last case there is no such breach of law but auditor should take his consideration in monetary term. By taking shares of other company make him disqualified from being appointed as an auditor in that company. Furthermore the classic reproduction has also given furniture as a part of the consideration which will somehow affect the independency level of Chan & associates (Holland & Lane, 2012). Audit Risk: - It is associated with the variation in the goal of audit. The goal of audit is to make a clear view with the financial statement of the company whether it gives the true and fair view. The audit risk is the possibilities of the statement not depicting the true and fair view after completion of the audit process as a result they are the outcome of material misstatement, undetected points and so on (Rosenbaum, et. al., 2014). Inherent Risk: - These are the risk associated with the system operating in the organisation. This type of risk arises due to the no corporative behaviour or misleading statement shown by managers (Rosenbaum, et. al., 2014). Control Risk: - This is the risk come from its own audit process which can be control with the extra diligence, furthermore risk come up due to inefficiency or inadequate internal control management is evolved around the definition of control risk. Detection Risk: - It is the risk, came up due to the inefficiency of the auditor in the audit process this is coupled with the failure in the due diligence to notice the misstatement (Siqani & Sekiraca, 2016). For the mitigation of the risk auditor can take various help so that he can present the true and fair view of the financial statement. In all of the cases given auditor could do following acts to mitigate the risk in the audit process. Prepare proper check list of all the audit process work.. Gathering of all material data which is required to make a report on the financial statement. Coordination with the true and present data collection system in the organisation. Proper internal control system in all the system working parallel to each other’s. Consideration, proper data sorting, cross checking of data depicted in quarterly report with that of annual report (Petherbridge & William F Messier, 2016). In the First case the impact on the audit risk will be considerable if auditor will find it hard in slipway limited to observe the latest data shown in the invoice and other statements. Auditor need to check all the details with the purchase of machinery and the inflow and outflow of cash to determine that in actual there is loss of margin in the business. In the second case auditor will be taking his due consideration regarding with the payroll given to each officers instead of believing in independent computer service bureau otherwise true data reflection will become hard in his report (Rosenbaum, et. al., 2014). In the third case Getaway is changing his marketing strategy and wants to penetrate the market to boost the market share in his product segment. It will slightly somehow make the drastic changes in the business level and will make the data process cumbersome which may result in the audit risk at the point of auditor. Therefore auditor needs to have a close look over all the expenses and outflow of cash in the business in order to protect the interest of the public shareholders in the business. Angara Ltd is producing wools in its ordinary course of business now wants to take orders from the overseas markets so that there could be increase in the sales of the product. Eventually it will increase in the audit risk as data could be manipulated in order to save taxes. It is the common issue which always arise in case of foreign transitions. True depiction of the data is essentially required in order to mitigate the audit risk in the audit process (Rosenbaum, et. al., 2014). In the last case kings is indented to sells its product named uniform in the market at low prices as compare to its cost in order to eliminate the competition out of the market. This being in the nature of marketing strategy will benefit the company in the long term. Auditor cannot consider those points which are not of monetary term. Furthermore auditor has to check each point and the invoices inventory details related to all the transaction whether proper entries are made or not in the journal books, trial balance and other the statement (Siqani & Sekiraca, 2016). 3.1 Indicate whether you believe that sufficient appropriate audit evidence has been obtained to support the conclusions reached. Give reasons for your decision. Audit report is truly based on the evidence he collected from the various sources. It also includes all the information required to conclude the audit report. It is the information that supports, collaborate in preparation of financial statements and other material statement prepared in the organisation. The objective of the auditor is to plan and perform the audit function truly based on the audit evidence available to him. This should be sufficient to come up with the opinion expressed in auditing assurance report (Munteanu, 2015). Adequate amount of Audit Evidence:- Materiality of the evidence associated with the Risk factors: - There are the facts that gathered from the market is widely comprised with many distinct factors and relevancy of the evidence is dependent on the risk factor, more the risk more would evidence would be required in the matter concerned (Fitzsimons, et. al., 2010). Quality of audit evidence: - Number of evidence is more dependent on the quality of evidence available to the auditor. There should be appropriateness of the quality of evidence. Relevance and reliability:- The relevance for evidence depends on the sources from which that evidences has been collected and how reliable the data could be with the time matter of the fact, furthermore it is the true factor that the analytical evidence is more reliable than the gathered information (Fitzsimons, et. al., 2010). Susan has taken the data which based on the client observation even though that is the right process. But auditor being a professional has to use his analytical skills and also need to gather information from the other sources so that an efficient report could be prepared. In the second case study Susan identify problem in the sale’s invoice as it is not signed on consistent basis. Auditor made a cross checked with the managers in context to the same. It is the proactive technique he used to make himself sure with the pricing data. Furthermore he may also directly consult with the selling department to make sure whether the actual selling price is stated or not (Pitt, 2014). In the third case Susan neglected the amount of selling 75L product being in small nature of amount which is not correct. Key component of audit report is the accuracy of the data and all the data should be completely managed along with back up of each transaction is required to be checked.With the help of this we will come to know the accuracy and the relevancy of the data. In this Susan has gathered information on the basis of sample taken into account the large sample of entries with the advertisement. He has to be sure that whether the appropriate amount of expenses and its materiality exists in the business (Munteanu, 2015). In such a case it is notice that Susan has misunderstood his liabilities while making his report. An auditor is the person who checks everything and depicts the true and fair view of the financial results of the business also stands in the fiduciary position toward the shareholders. He has to check whether the outflow of cash from the business is of material nature or not (Munteanu, 2015). 4.1 For each of the above events or transactions, discuss audit procedures that should have brought the item to the auditor’s attention, and indicate the treatment required in the financial report. Give reasons for your decision. Audit is the long term process start with detecting the data and end up with the affirmative or negative opinion which enables general public to come up with the financial decision. Audit Procedure Planning:- It is the initial stage of audit procedure in which auditor makes plan for processing all the activities. It is process of having a long term glace at the future tasks. Field work:- An auditor needs to visit his client premises so that he could be familiar with the environment and their function system (Buckless, et. al., 2014). 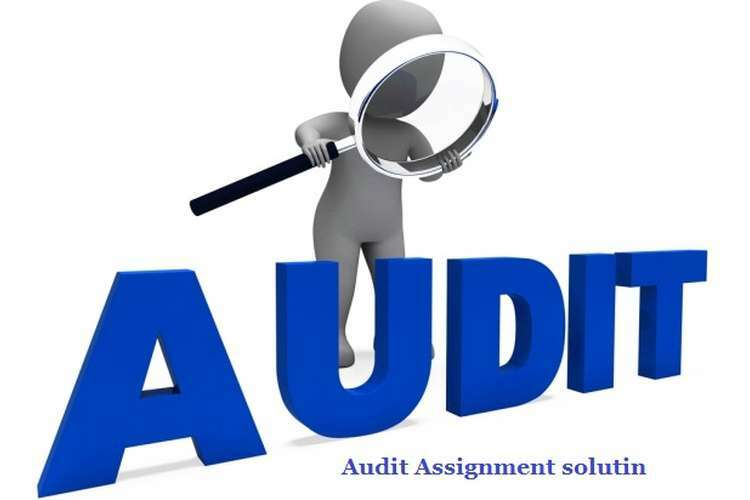 Audit report:- In this process auditor will prepare the draft audit report with the available information and will make changes as per the data he gathers during that time period. Audit follow up:- Audit process being cumbersome in nature needs to be followed up by the senior auditor for the authentication of the data (Buckless, et. al., 2014). Announcement later:- After completion of the report auditor makes announcement of his report and ask others having interest to make any suggestion and opinion regard with the same. Review- It is required to make changes in the audit report. It arises due to the sudden changes in material facts or arising of contingent liabilities which are not shown in balance sheet or data which were not available at the time of preparation of report (Hooper, et. al., 2011). Final Report:-It is the final report which includes every single details and observation with the financial statement. Qualification and remark all are shown in the final report of the auditor. In the second case auditor has to note down the contingent liability in his report which came up to the attention thereafter. There is need of making changes as per requirements (Sarwoko & Agoes, 2014). In this case auditor needs to take into account the outflow of cash and segregate whether it is of capital nature or revenue nature so that proper understanding can be taken out of the simple study (Sarwoko & Agoes, 2014). Auditor being in the fiduciary position toward the shareholders perform his activates in a professional manner. Report passed by the auditor is the public document and normally used by the general public to form the financial decision. Laws and regulation has been tighten with this changing environment and made auditor to shoulder the responsibilities coming with the report prepared. 5.2 What factors must the external auditor to be satisfied with if the external auditor is to rely on the work of the internal auditor? 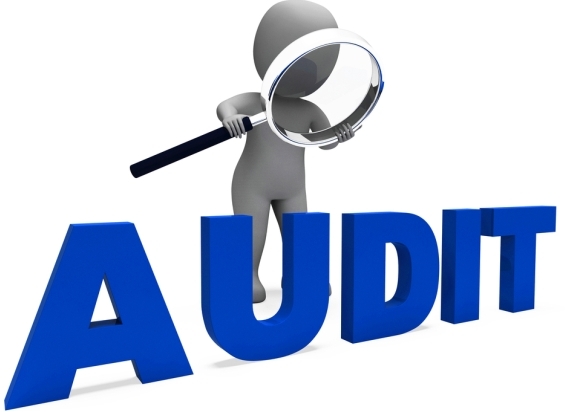 External auditor being in statutory position must check the key persons and their abilities to perform internal audit. In the first case external auditor can rely on the actuarial work performed by the actuary as it easy to see that actuary is the person who is having a specialty in actuarial work. Therefore it is assumed that an auditor cannot judge a professional in his field. In the third case study it is seen that auditor is not satisfied with the financial assignment disclosure made by accountant then in this he needs to go through with all the invoices and back up companies is having so that he can come up with the independent opinion with the same (Said Suwaidan & Qasim, 2010). In the fourth case auditor finds changes being made in the method of preparing statement and having opinion that it will materially affect the financial statement then in such a case auditor will give remark to his report. He will disclose all material facts he took into notice with the qualified remark on the same (Said Suwaidan & Qasim, 2010). In the last case auditor should prepare Auditor responsibilities statement in which he will disclose all the material facts regarding with the company’s pay off debts capabilities in long run and how company is working toward discharging its liabilities and other factors (Said Suwaidan & Qasim, 2010). During the study throughout the matters given in the various cases I have come to the conclusion that auditor is standing in the fiduciary position with that of shareholders and it is his duty to guide them with his analytical knowledge. Auditor is the person who works as a scrutinizer on all the financial activities performed by the company and check its reliabilities and relevance with the occurrence of the events in the business life cycle. However auditor being independent to the company is having right to attend all the meetings as a trustee to the shareholders of the company. Blythe, S.E. 2015, "The In Pari Delicto Defense for Auditors in Professional Negligence Cases: Imputation of Managers’ Unlawful Acts to the Client Firm", Accounting, Economics and Law - A Convivium, vol. 5, no. 2, pp. 193-226. Buckless, F.A., Krawczyk, K. & Showalter, D.S. 2014, "Using Virtual Worlds to Simulate Real-World Audit Procedures", Issues in Accounting Education, vol. 29, no. 3, pp. 389-417. Desai, N.K., Gerard, G.J. & Tripathy, A. 2011, "Internal Audit Sourcing Arrangements and Reliance by External Auditors", Auditing: A Journal of Practice & Theory, vol. 30, no. 1, pp. 149.